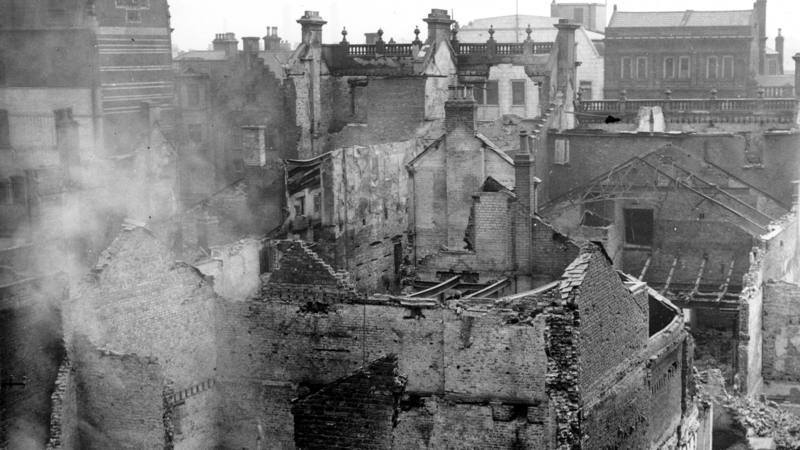 Photographers from the Belfast Telegraph captured the aftermath of the Belfast Blitz in 1941 when Luftwaffe bombs devastated the Sugarhouse Entry area. Belfast Telegraph Photo: AR 161. Destruction of buildings in Sugarhouse Entry, Belfast, Co. Antrim. These famous entries in the city are where Henry Joy McCracken and the United Irishmen met in 1798. If you enjoyed this post on "Sugarhouse Entry, Belfast, Co. Antrim", please share with your friends and followers.